Thinking about wonderful places to work, it would be hard to find a more idyllic setting than the banks of the Columbia River at the gateway to the Columbia Gorge. 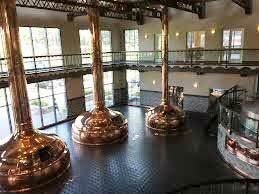 That is where craft beer pioneer Full Sail Brewing has been for thirty years. The Hood River landmark started with rather humble beginnings and has grown to become a leader in a global, craft brewery industry. The year 1987 was a heady time for craft breweries and for Hood River. 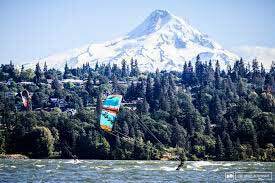 The region was just starting to be recognized as a haven for the natural, perfect setting it provided for windsurfing. The hobby of home brewing beer was just starting to emerge into a broader arena. The 1985 Oregon Legislature passed a landmark law allowing for the establishment of “brew pubs” in the state, reversing a Prohibition-era rule that prevented breweries from actually serving their product on their premises (a staple in most European communities). The law made it easier for start-ups in the beer industry to ease into the market while exposing their product to consumers, directly, without requiring the initial mass production distribution often warranted. As the craft beer industry started to take hold in Oregon, even the most optimistic fans would have shaken their heads at where Full Sail set its sights for production. Even co-founders James Emmerson (currently Full Sail’s Executive Brewmaster) and Irene Firmat (current CEO) still laugh about it and openly share their start-up story on the company’s website. Standing in what was the old Diamond Fruit cannery, you would have been preoccupied with other thoughts. Like wondering how time had somehow stopped, Twilight Zone style, circa 1972. The cannery had pretty much laid abandoned and derelict for 15 years, frozen in a kind of fruit-tinged Technicolor funk. And while the workers were long gone, their dusty girlie calendars and magazine clippings still clung to the walls, witnessed only by the resident pigeons and passing seasons. By September of 1987, Full Sail had a full crew (four full time brewers) of what they openly admit was a “classic mixture of beer geeks and boardheads” and in their first full year of production (under the original name of Hood River Brewing Company) they put out 287 barrels of beer. (By comparison, in 2014 they produced just over 115,000 barrels). After a full year of honing their brewing and production skills, the company set its sights on another milestone. Industry skeptics openly questioned the ability to translate microbrew quality to a more mass-produced setting like bottling. James and Irene took up the challenge, investing in a bottling system they named “Mimi”, in large part because of its red color and Italian origins. The bottling system had actually been designed to bottle still wine, not a carbonated, fermented product. It was a manual bottling line with “a mind of its own at time”, according to Firmat. 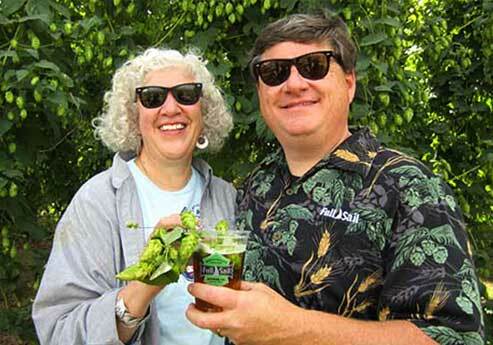 Eventually, James and Irene and “Mimi” came to an agreement and the brewery stuck its own flag in the industry landscape by becoming the first microbrew to successfully bottle its product. Critics hailed the result and Full Sail launched its flagship Full Sail Amber in bottles. In addition to heading on its way to becoming the brewery’s best-selling beer, it landed the brewery its first big prize: a gold at the 1989 Great American Beer Festival. Since then, the company has steadily grown (in size and stature) racking up dozens of awards for its ever-expanding line of craft beers. In 2005, it introduced Session Premium Lager, in part as a tribute to pre- Prohibition era beers. Packaged in classic stubby bottles, it was also a nod to a giant of the beer industry in the Pacific Northwest, Blitz-Weinhard and the standard “Blitz” brown stubby bottle. Like a lot of industry leaders in the Pacific Northwest, Full Sail has managed to carve an outsized reputation in a global industry while staying true to its bootstrap roots. Perhaps a big reason it has accomplished this is its deep commitment to its employees and its community. In 1999, the brewery created an employee stock ownership plan that eventually led to the company being employee-owned. Full Sail is committed to sustainable practices. They buy non-GMO raw ingredients from local/regional farmers and producers. They purchase 140 “blocks” of Blue Sky energy each month, a step that reduces the carbon dioxide emissions in the region by 168 tons while supporting another growing Gorge industry, wind power. Full Sail was a founding member of the Hood River Chamber of Commerce’s Green Smart program and the brewery supports more than 300 organizations, events and charities each year. Another way in which Full Sail supports its employees and communities is by selecting business partners with a shared vision. It’s just one reason why they have relied on the CompSAFE program for their workers’ compensation insurance. A brewery is a manufacturing setting. It is a challenging setting from a safety perspective. Firmat points to a number of ways SAIF has worked to keep production at the brewery safe for all of its 70-75 employees. Even assisting in making workplace modification suggestions that have eased the stress of certain jobs while actually assisting in the increase in productivity at the brewery. That sense of family has been there since the beginning. When, inspired after a trip to the Pacific Northwest, Firmat left her job in the fashion industry in New York to chase this almost unbelievable scheme, she found a brewmaster business partner in James and eventually, a life partner when the two eventually fell in love and married. To that we say… Cheers!